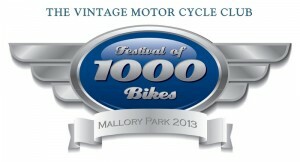 With huge interest already being expressed in next year’s event we are delighted to announce that The VMCCs Festival of 1000 Bikes returns to Mallory Park on the weekend of 13th/14th July 2013. 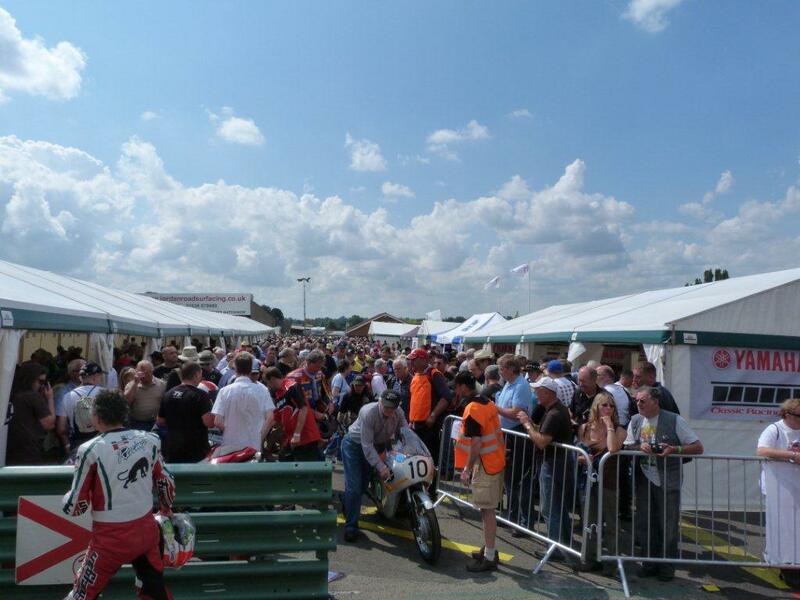 With the support of partners Footman James Insurance Brokers, Bonhams Auctioneers, Mortons Motorcycle Media, The National Motorcycle Museum, Michelin Tyre PLC & ERIKS UK, the 2013 event will be another weekend to remember. As in previous years the event gives enthusiasts the opportunity to ride their own machines in multiple track sessions over the weekend. On the Saturday of the event we cater for all classes of road machines from the earliest Veterans (discounted entry fee available for pre 1925 machines) through to machines of the superbike era which reflect the wide range of interests within the VMCC. With lesser noise restrictions Sunday is the day for riders to display their race machinery in special track sessions running throughout the day. Whilst some might try to imitate “1000 Bikes” our event is unique in its sheer breadth & scale. This includes showcasing the best line up of “Past Masters” and famous machines assembled during any given year. 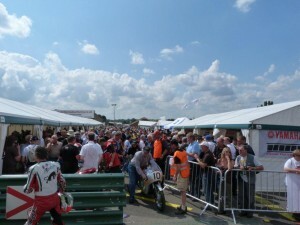 Previously this has included many unique happenings such as “King Kenny” Roberts first UK Track appearance in 30 years at the 2011 event & (in conjunction with Michelin) Kevin Schwantz’s return to Mallory Park for the first time in a quarter of a century in 2012. Details of a very exciting star rider for the 2013 event are currently a closely guarded secret so “watch this space” as we have something planned that no race fan will want to miss. Announcement due early in the New Year! The biggest line up of Past Masters Machines and Star Riders on track! Star Rider appearances and signings/personal appearances throughout Saturday & Sunday. Real Ale bar open all weekend with panoramic views of Stebbe straight. Live bands on the “Classic Racer Magazine Stage” starting Fri 12th July which will also feature the hugely popular “Stars on Stage” interviews. More details will be released over the coming weeks. 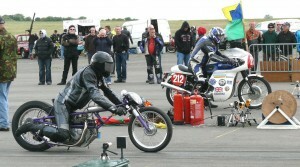 However as the Track sessions for both road and race machines sold out early this year & therefore entry forms will be distributed in December 2012 to all previous entrants.